GM Czebe came equal first with 7.5/9. Here is an interesting endgame battle from rd3. Black is more active in the RRN-RRN ending. What do you recommend for black? 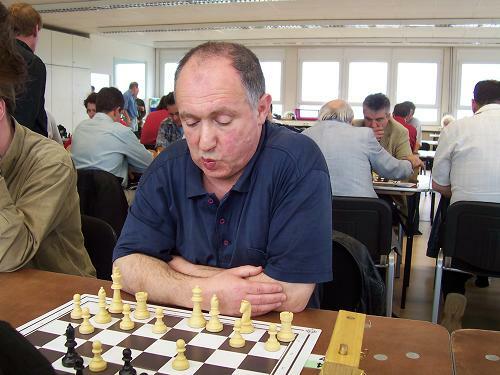 GM Czebe,A won this GM tournament by a clear point with 8/11. Czebe,A travels the world far and wide. 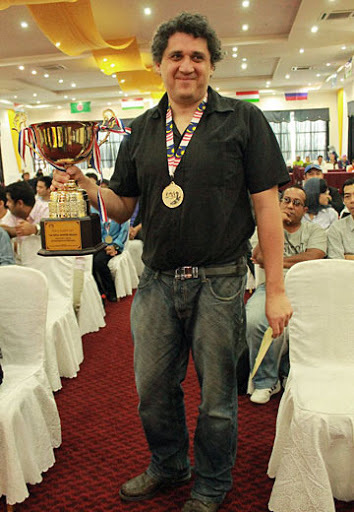 Earlier this year he won the Melaka Open in Malaysia. Here is a nice endgame featuring strong thematic play. The ending is roughly equal. What should black do now? This is about planning and understanding, not tactics. Black has some pressure on the d-file and a strong bishop but what’s next? -Open up lines on the queenside with 30…c4!